Is the end in view for the once ubiquitous 2 Litre? 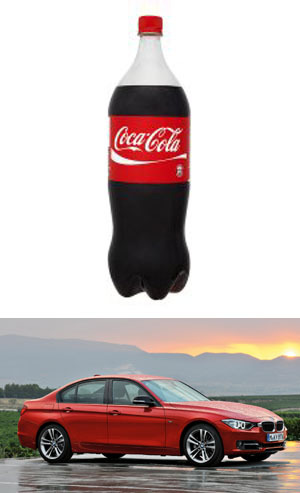 The First and Second Most Popular 2 Litres in The World? I’ve never liked 4 cylinders. Part of me has always lusted after pistons and capacity. How I envy a fellow correspondent on these pages his 5.3 litre V12. The only diesel engine I’ve ever been attracted to is Volkswagen’s ludicrous 5 litre V10, which made a mockery of diesel’s assumed economy but where the sheer numbers almost overcome my antipathy to fuel oil. Despite all this, the puritan in me has shown restraint and, in fact, the most cylinders I’ve ever owned in one engine is six and the largest capacity 2.8 litres. But it’s not all size. I like less than 4 cylinders too. I have eternally fond memories of the Citroen Flat Twin and I’ve never been tempted by a Japanese 4 cylinder motorcycle, far preferring my V Twin. I got very excited by Fiat’s TwinAir engine and, despite getting the idea that the real-world consumption, and thus emissions, are less related to the paper ones than they might be, it remains an attractive proposition – if only they’d put it in a car I wanted. The truth is that I’m a 4 cylinder bigot. There are exceptions in my prejudice (obviously an old Alfa Twin cam, probably some Hondas and any flat four, even a Beetle’s, and a Lancia V4 though, very certainly, not a Ford V4) but, generally, four in a row and I don’t want to know.